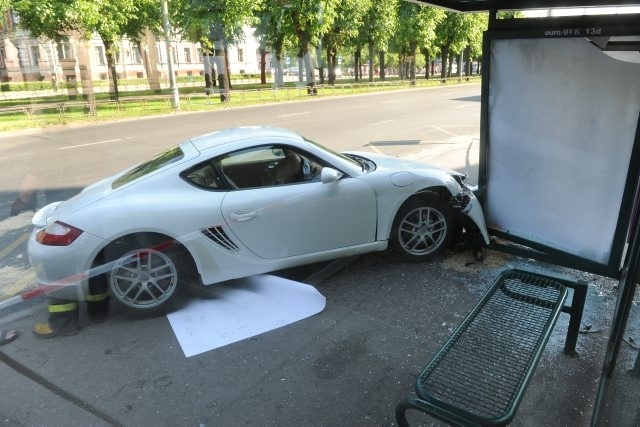 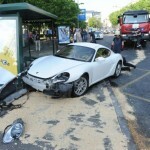 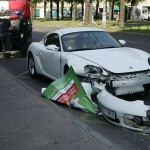 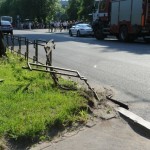 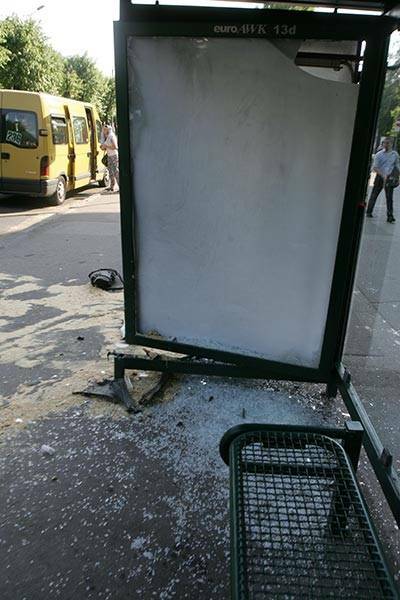 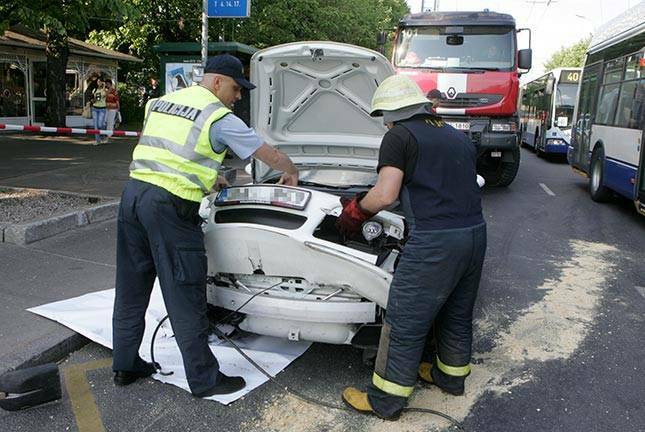 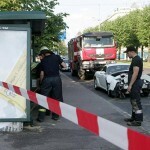 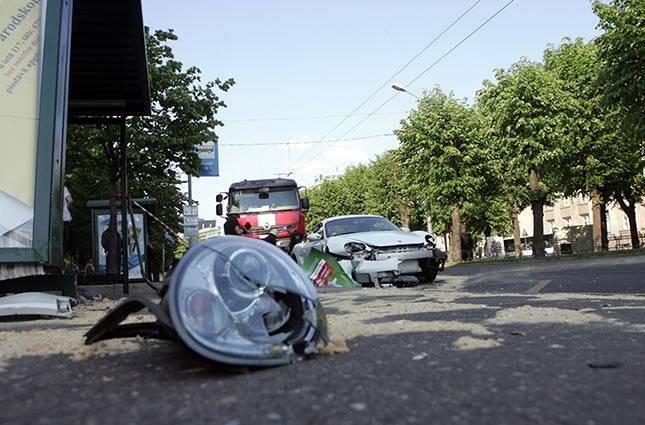 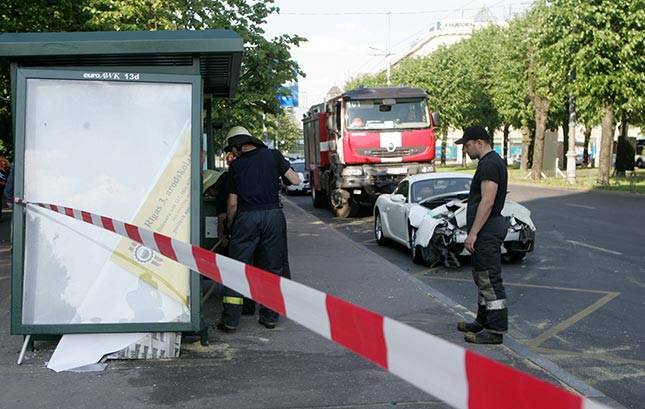 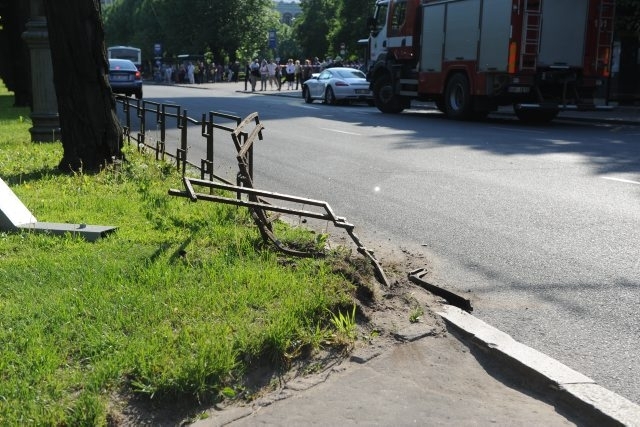 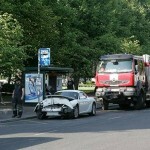 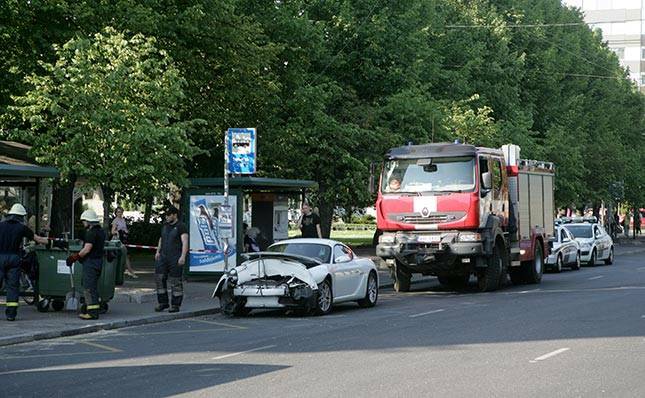 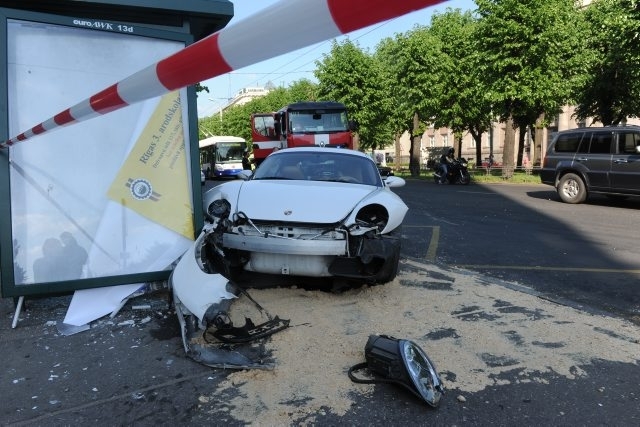 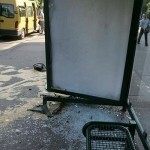 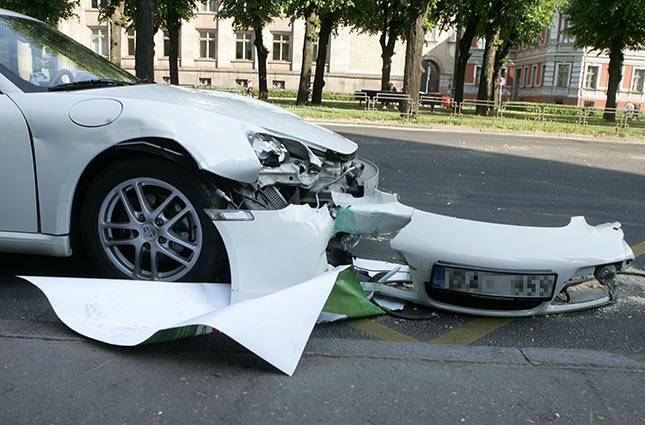 Riga, Latvia: Today, in the center of Riga, 23 years old girl lost control over her vehicle Porche Cayman and crashed into a bus stop. 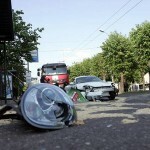 According to the traffic police, a 23 years old driver and a passenger (born in 1992) of the car suffered in the accident. 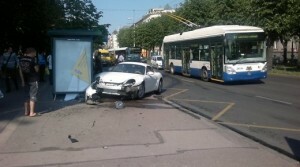 Luckily the bus stop was empty at the moment of crash. 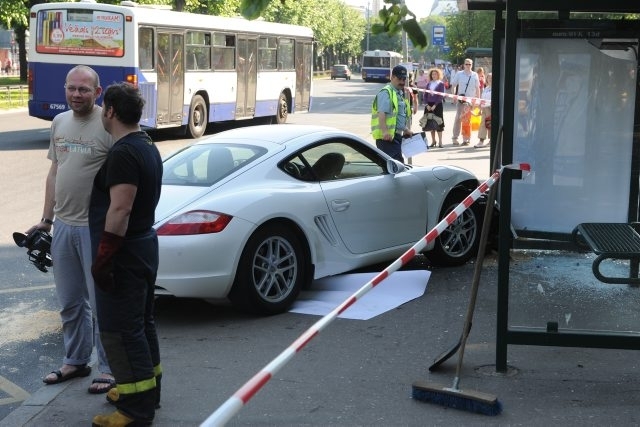 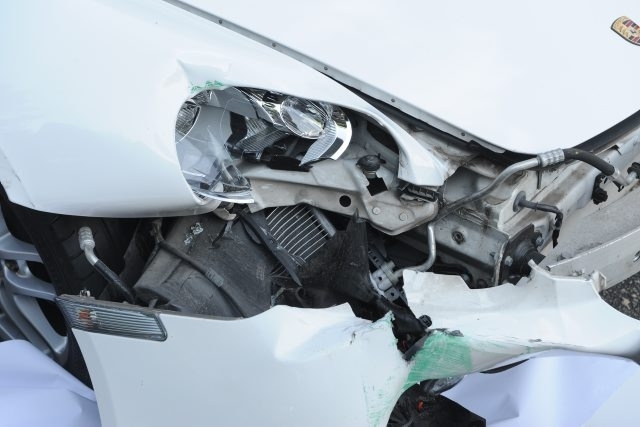 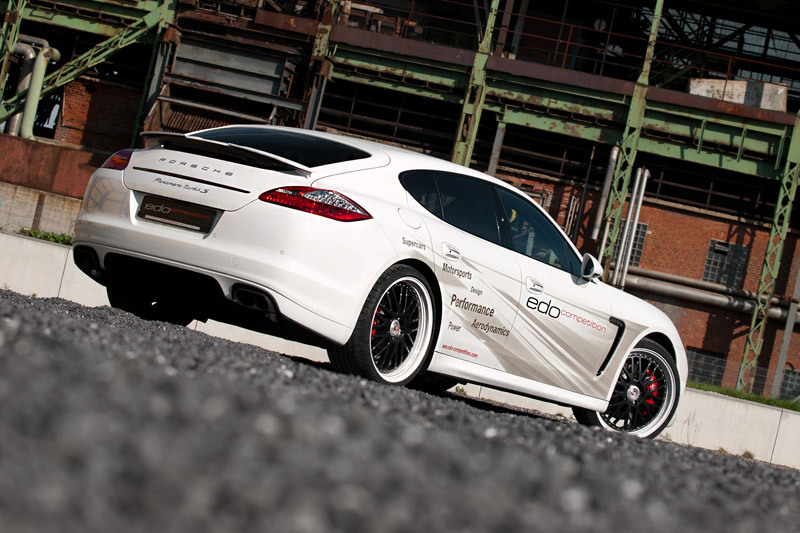 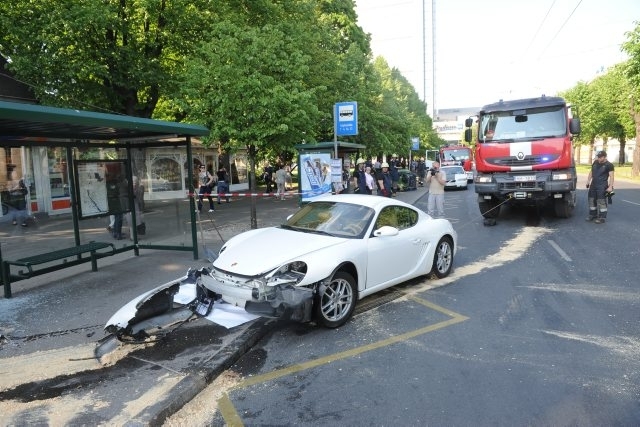 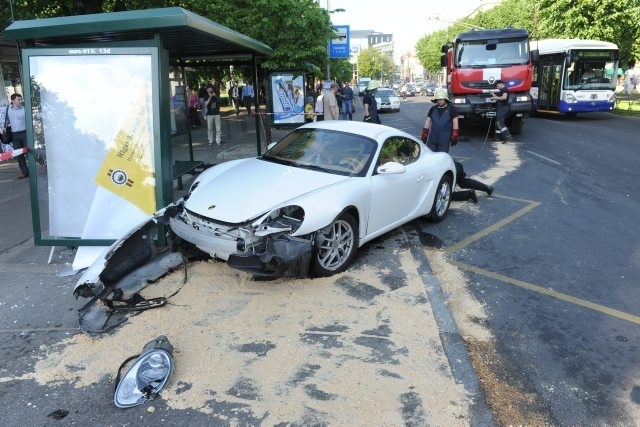 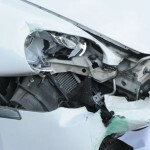 According to witnesses, white Porche Cayman, which exceeded the speed limit, rammed another vehicle, then crashed into protective barrier and at the end crashed in the bus stop. 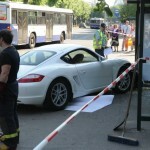 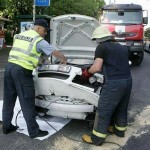 After the accident the car driver and the passenger were taken to hospital. 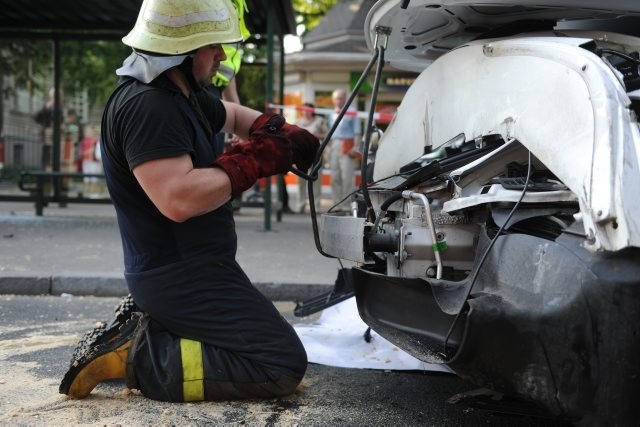 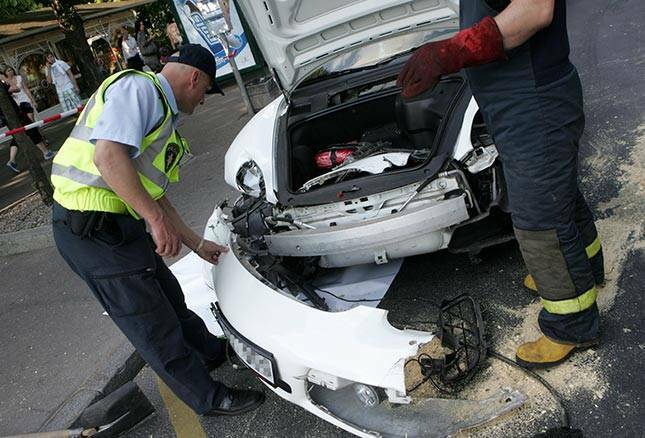 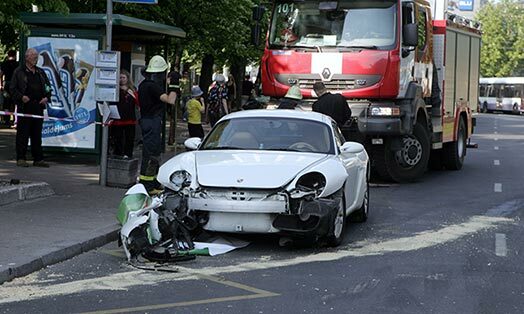 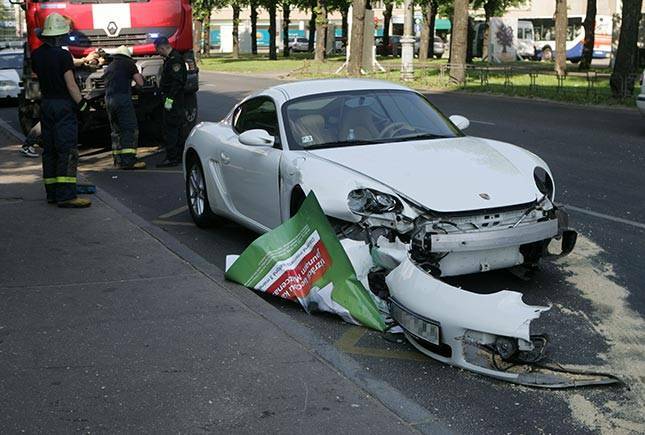 As we can see in pictures, after the accident the front of the girl’s crashed Porsche is seriously damaged and the airbags have not opened at the moment of accident.